Restoration of the two historic orchards is well underway! Highly successful workshops have been held and many trained to do the easy work next year. Qualified fruit tree arborists have worked on all the trees in the East Orchard and some in the West. If people wonder why some parts look to be forgotten that’s because the experts in Orchard restoration say that not more than 20 per cent should be removed in one year. Otherwise potential new growth will be restricted. This means that further work will have to take place during the next dormant season that is between December 1, 2016 and March 1, 2017. During this summer, more intensive work will take place on the grass that surrounds the trees. This is to get the brambles and stinging nettles under control. However, in future years the intention is to revert to a more meadow-like feel. No work has been carried out on the Orchards for about 20 years and they have been badly in need of some tender love and care. The work is possible as the parish council has obtained agreements from freeholders to carry out some essential work while negotiations on their long-term future continue. Currently, we have an unofficial group under the guise of Friends of the Fairfield Orchards. Now that work is possible, it is intended to formalise the group later this year. 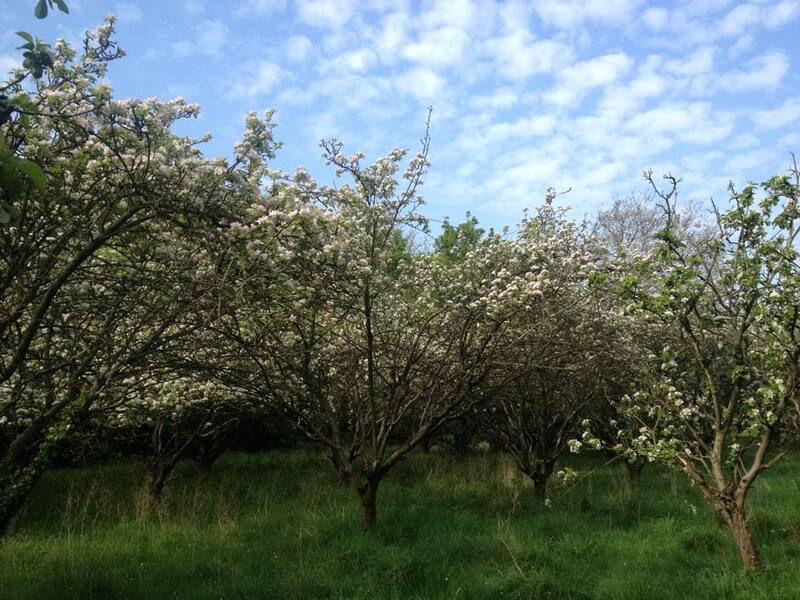 If you would like to help with the Orchards restoration project please email friendsoftheorchards@fairfieldparishcouncil.gov.uk. The detailed report on the trees that was completed in December 2015 was produced by Orchard expert Bob Lever can be downloaded here. His observations on the Orchards will be incorporated in a five year maintenance plan being worked on currently and which will be published when complete. Pictures of the workshop can be found under the Orchard Restoration section of the website (see main menu) There are pictures of the day. More can be found on the Friend Flickr page by clicking this link.